My opponent in the Republican primary for House District 74 has leveled a series of false attacks against me during the campaign. Today, he reached a new low. 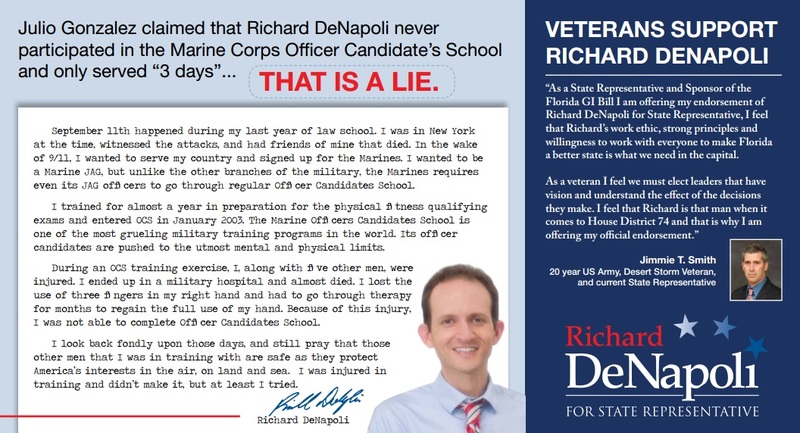 In a press release entitled “STOLEN HONOR: DENAPOLI MAKES FALSE CLAIM THAT HE SERVED IN THE UNITED STATES MARINE CORPS ,” he relies upon dubious third-party sources with false information to claim that I lied about being in the Unites States Marine Corps Officer Candidate School. 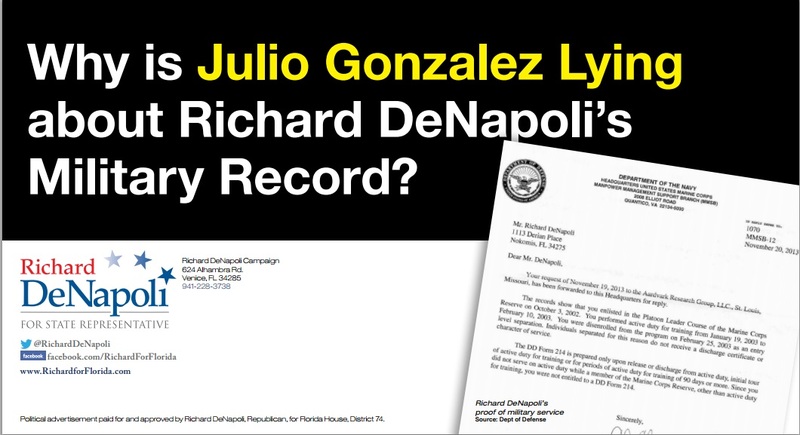 “Republican Florida House candidate Julio Gonzalez is accusing his GOP rival of lying about his military service, the latest salvo in an increasingly heated primary election battle. Though my opponent’s accusations were proven by government records to be false, he has continued his false attacks and has not apologized for his smears against my character. See our campaign mailer refuting these false attacks.